Dr. Robert Weis, a psychology professor at Denison University, confirmed this suspicion in a randomized controlled trial of the effect of video games on academic ability. Boys with video games at home, he found, spend more time playing them than reading, and their academic performance suffers substantially. Hard to believe, isn't it, but Science has spoken. People who think that a book—even R.L. Stine's grossest masterpiece—can compete with the powerful stimulation of an electronic screen are kidding themselves. But on the level playing field of a quiet den or bedroom, a good book like "Treasure Island" will hold a boy's attention quite as well as "Zombie Butts from Uranus." Who knows—a boy deprived of electronic stimulation might even become desperate enough to read Jane Austen. Most importantly, a boy raised on great literature is more likely to grow up to think, to speak, and to write like a civilized man. Whom would you prefer to have shaped the boyhood imagination of your daughter's husband—Raymond Bean or Robert Louis Stevenson? I wonder if I would have learned to read well, or read as much, if I had grown up in the age of the computer. I know that I now spend more time reading on the screen than I do between the covers of a book. 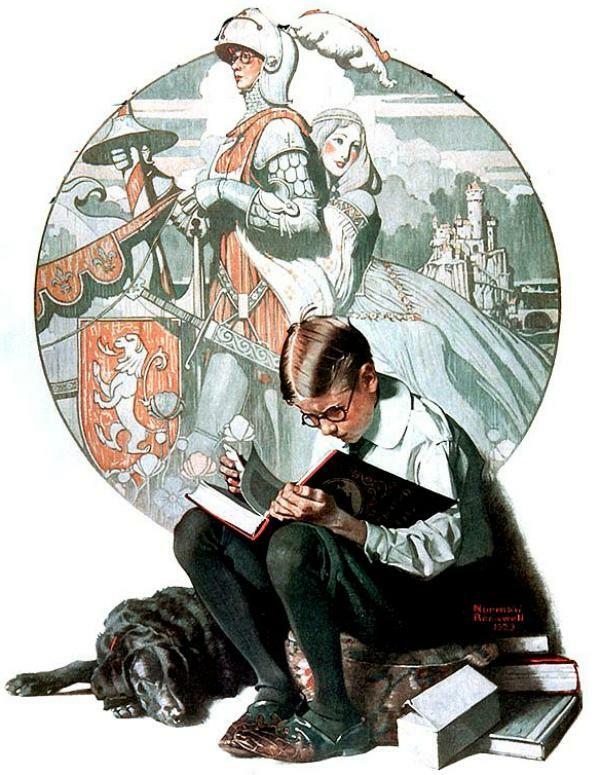 This list of "50 Best Books for Boys and Young Men" includes quite a few titles that I know and love and the site that provides the list looks interesting in other respects, too: The Art of Manliness.